I've introduced ReSharper at the office, and honestly, I cannot picture developing without it anymore. It boosts productivity, improves quality and consistency of your code. I'm assuming you're all familiar with it, if not - it's a Visual Studio plugin. 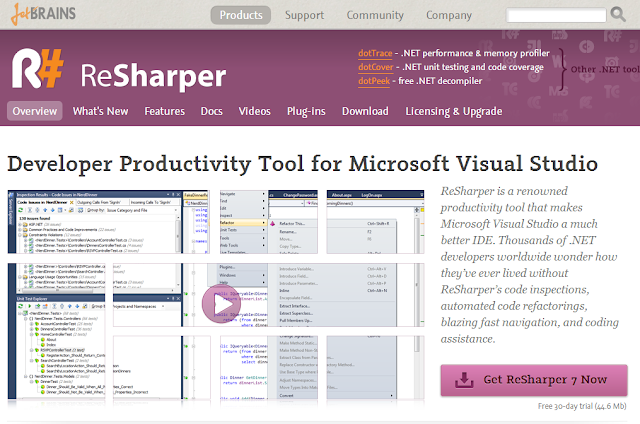 Anyway - I had planned to blog about it somewhere in the future, but this guy beat me to it: Dzone article: How Resharper rocks my day.